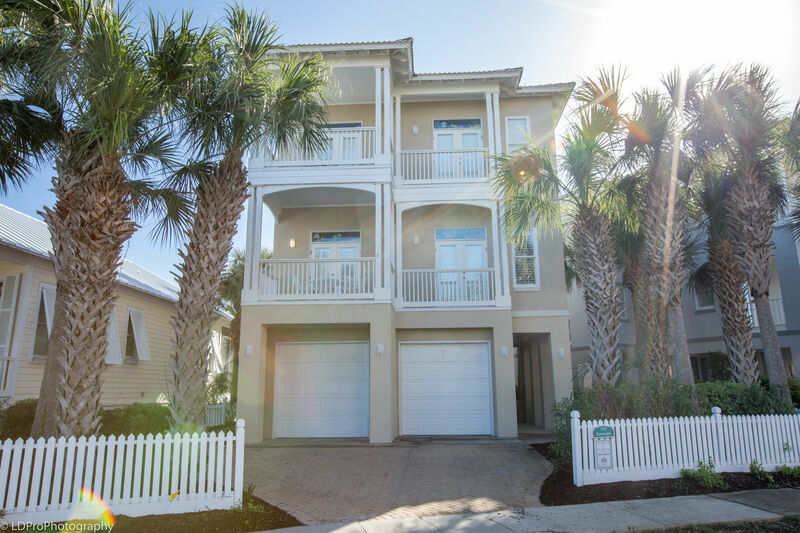 Seascape - Holiday Isle Properties, Inc.
Holiday Isle Properties is proud to present this newly renovated home nestled in the luxurious Destin Pointe community: Seascape. 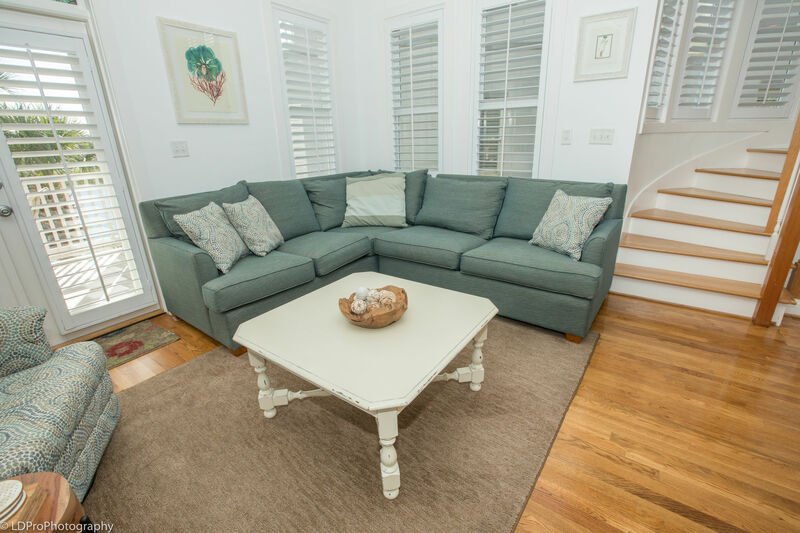 This four bedroom, four and a half bathroom home sleeps ten guests in utmost comfort. Upon parking the garage (suitable for one vehicle), you will enter the bottom floor of the home. The bottom floor consists of a stairway leading to the second floor, a screened in poolside patio, and a half bathroom. 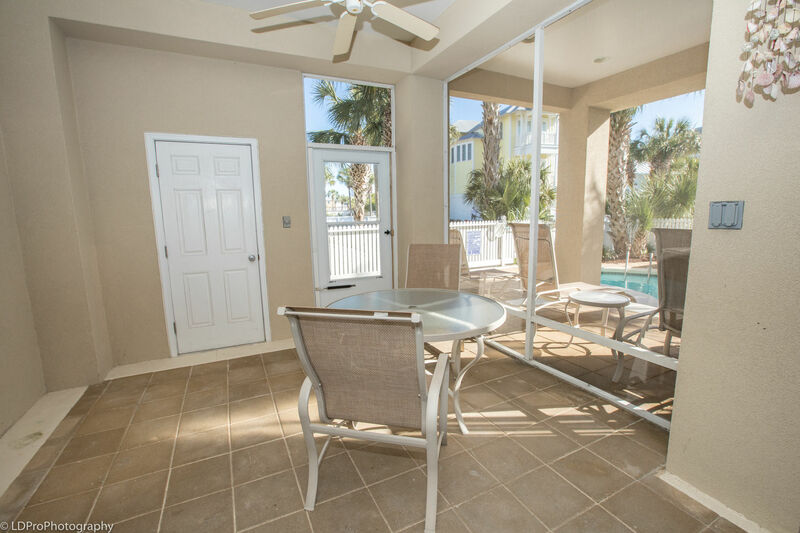 The screened in patio is the perfect place to relax after a long day on the beach, comes complete with a half bathroom, a “hammock-esque” two seater rocking chair, two regular chairs, and an outside dining table. Next to the pool there are two lounge chairs. The Pool has a connected hot tub that is raised above the pool. The hot tub has a waterfall that flows into the swimming portion of the pool. Going back in the screened in porch and back inside the home, and walking up the stairway, you will reach the second and main floor of the home. The second floor of the home is centered around the Kitchen. 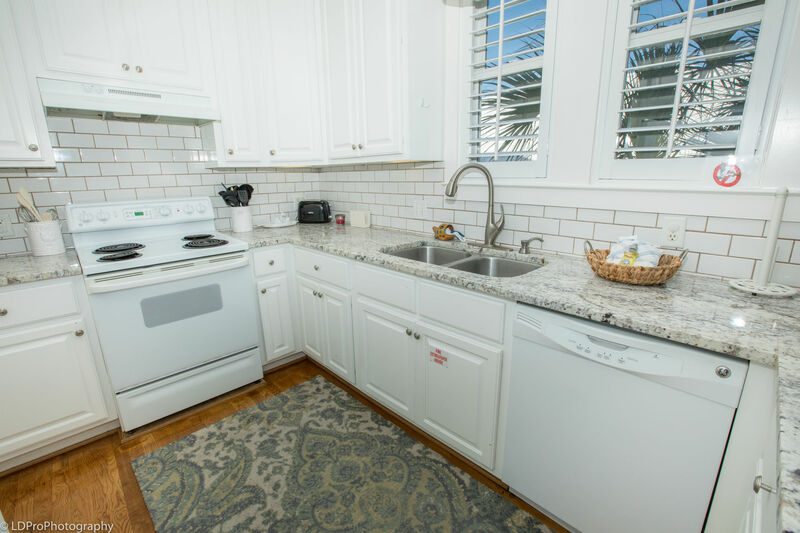 The Kitchen has a plethora of beautiful granite counterspace, a tile backsplash, full size appliances, and all the pots, pans, silverware, and dishware needed to prepare your favorite meal. 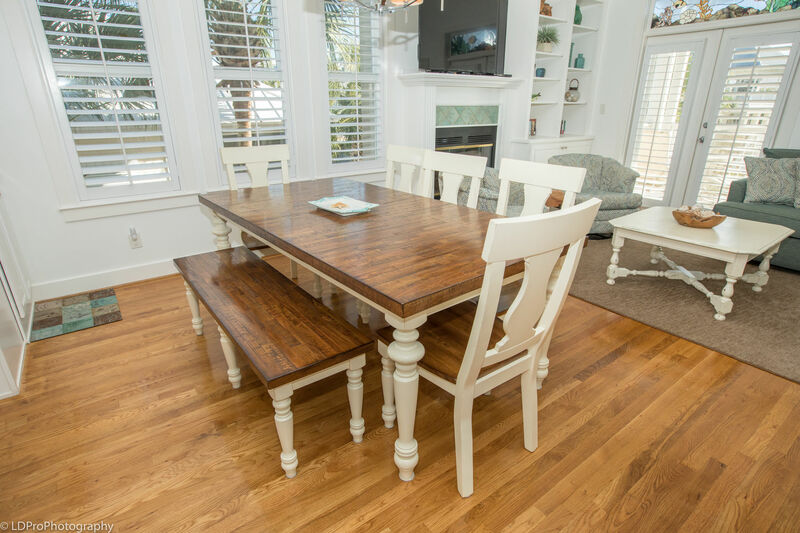 The large rectangular Dining Table is adjacent to the Kitchen. Located under a chandelier, the table is set for eight guests. On the other side of the dining table is the Living Room. The Living Room has a fire place, a big screen HDTV, a DVD Player, Surround Sound, a sectional couch, two plush chairs, and a set of French Doors leading to the Living Room Balcony. 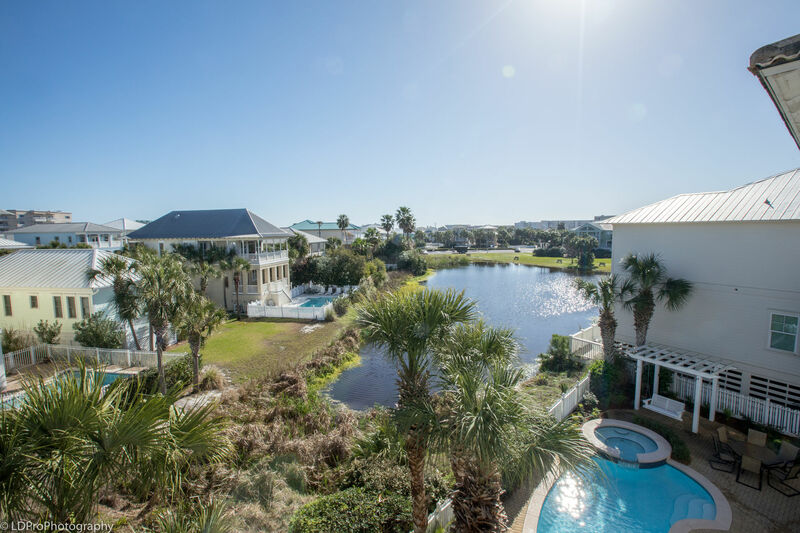 The Living Room Balcony has a view of one of Destin Pointe’s lakes and the home’s private pool. 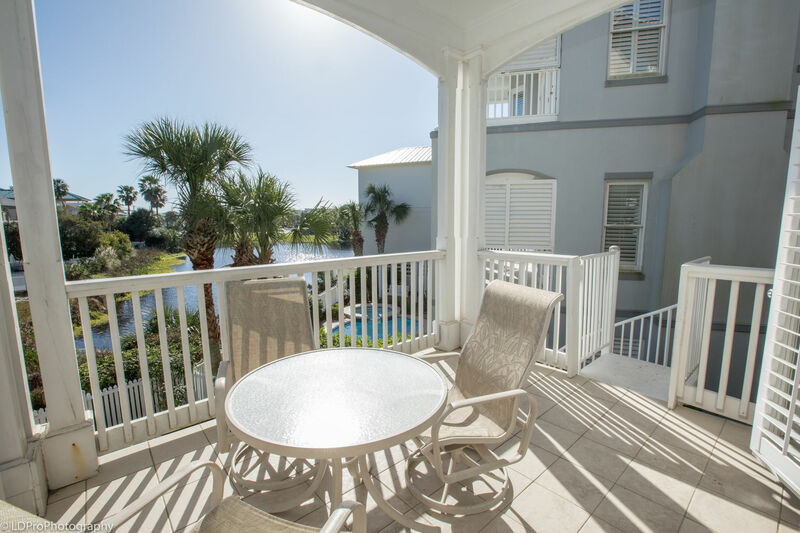 This balcony comes with an outside Dinning table with six chairs and a spiral stairway that leads to the pool below. 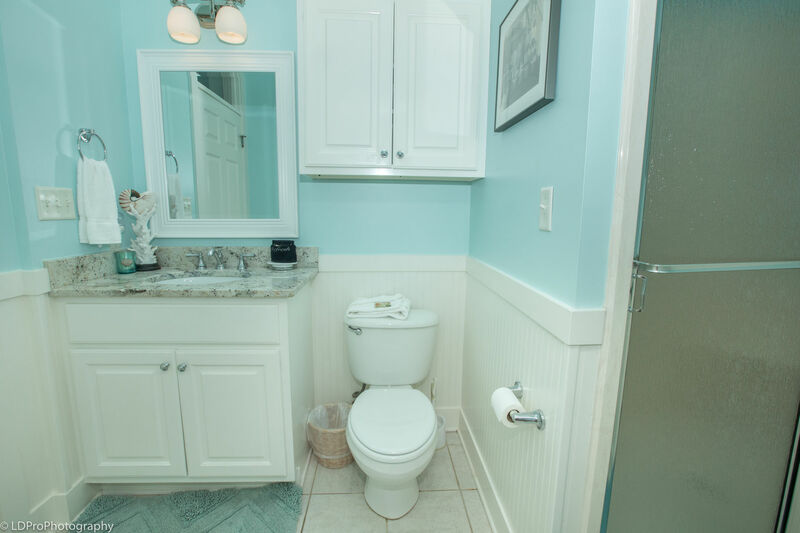 Going back in the Living Room and walking past the Kitchen, you will come to a Full Bathroom, a Bonus Room, and a Guest Bedroom. 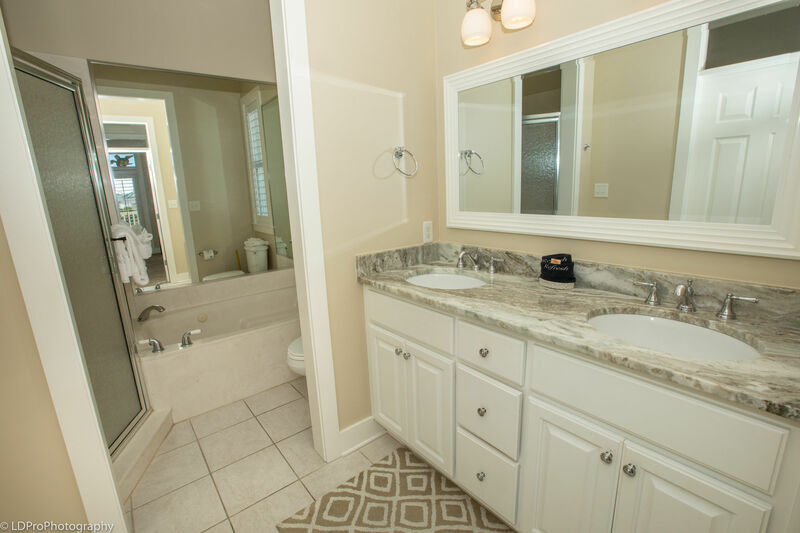 The Full Bathroom can be accessed via the Guest Bedroom or the hallway and comes with a granite encased vanity and a large walk in shower. 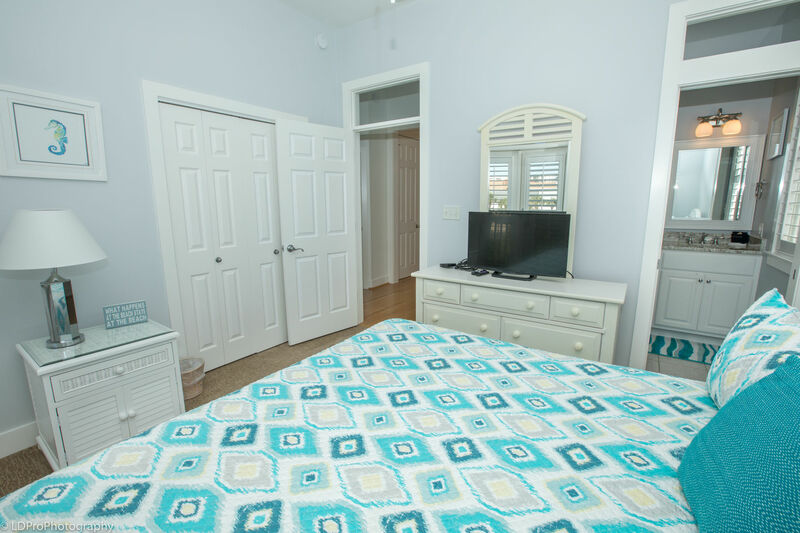 The Guest Bedroom has a Queen Bed, a flat screen HDTV, a closet, a set of French Doors leading to the Bonus Room, and a set of French Doors leading to the balcony that is shared with the Bonus Room. 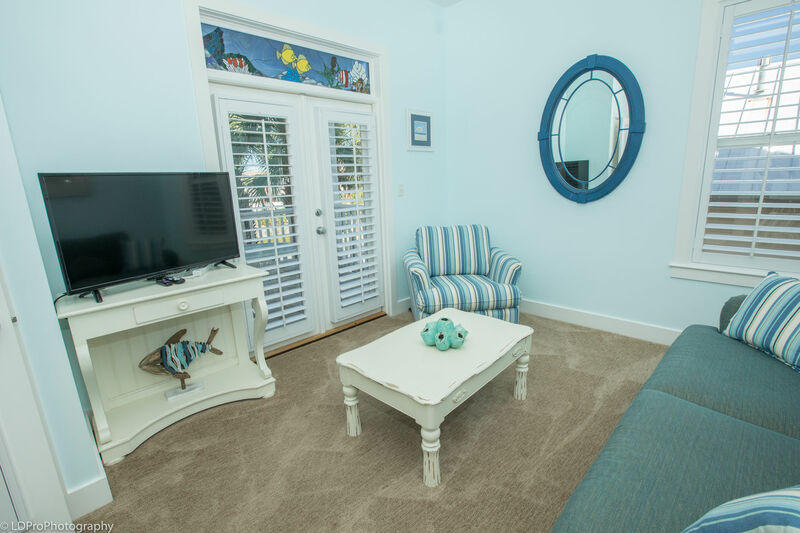 The Bonus Room has a plush chair, a couch that doubles as a queen sofa sleeper, a HDTV, and a set of French Doors leading to the balcony that is shared with the Guest Bedroom. 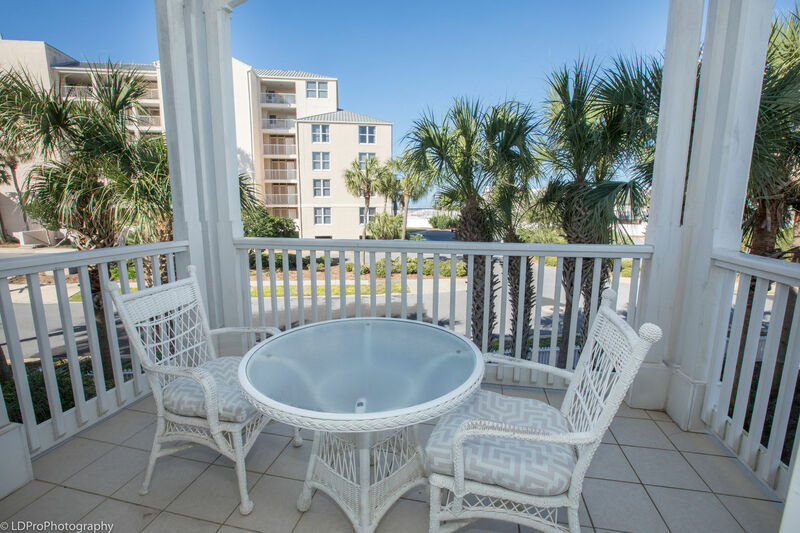 The shared balcony has a view of the grounds of Destin Pointe and an outside table with two cushioned chairs. Go up the stairs and you will come to the third and final floor of the home. 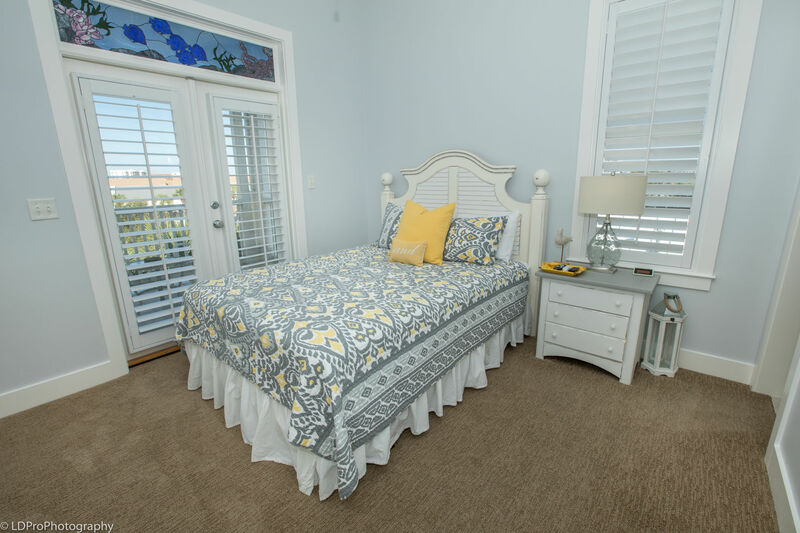 This floor has two Guest Bedrooms with their own private Guest Bathrooms, and the Master Bedroom Suite. 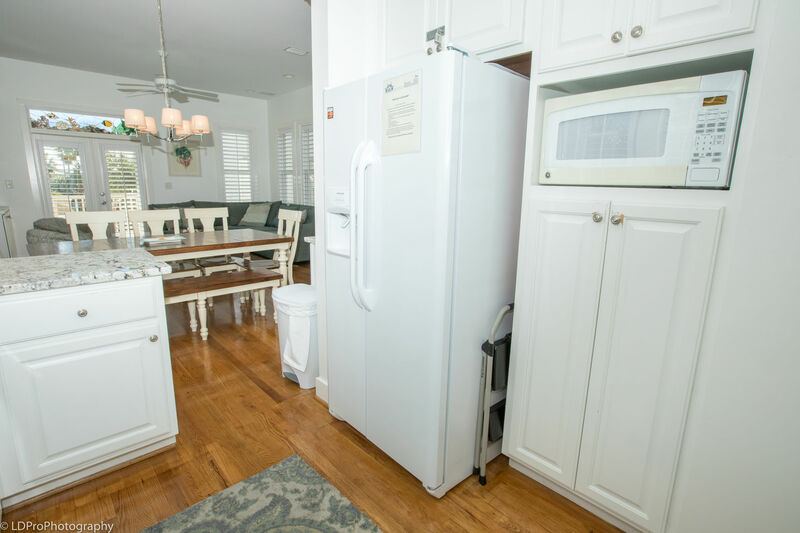 As soon as you step on to the third floor, you will be looking at a set of French Doors that open to reveal a full size washer and dryer. 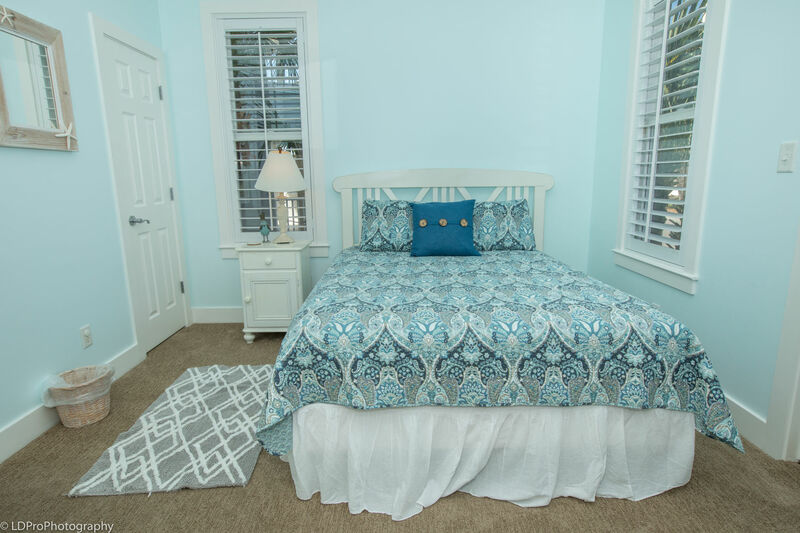 Turn left and you will come to the two Guest Bedrooms. 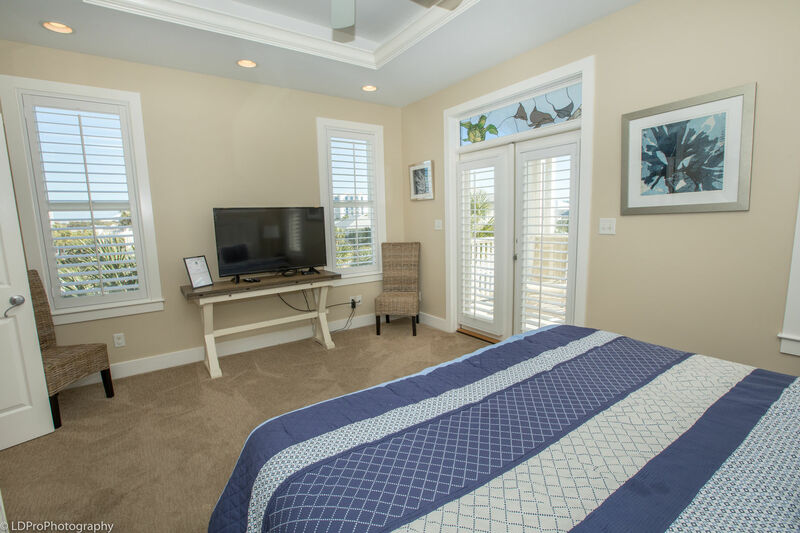 One Guest Bedroom has a King bed, a flat screen HDTV, a closet, and a set of French Doors leading to the balcony that is shared with the adjacent Guest Bedroom. The private Bathroom connected to this Guest Bedroom has a granite encased vanity and a walk in shower. 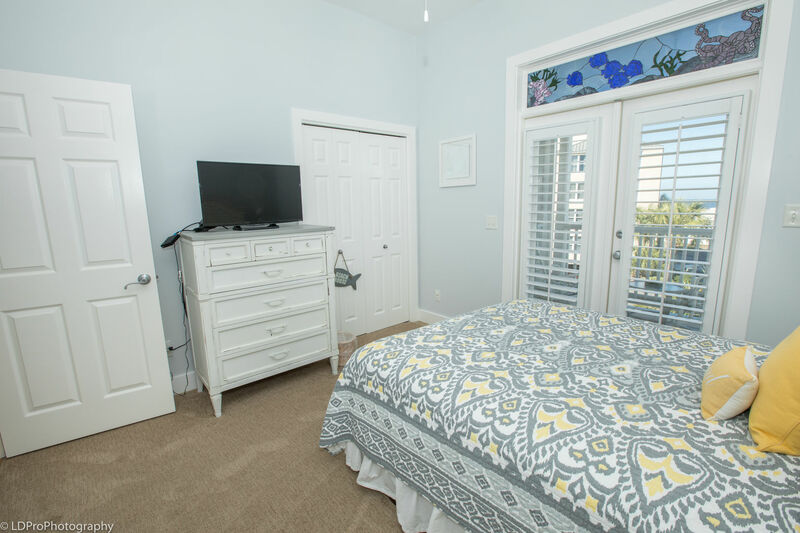 The adjacent Guest Bedroom has a Queen Size bed, a closet, a HDTV, and a set of French Doors that leads to the shared balcony. 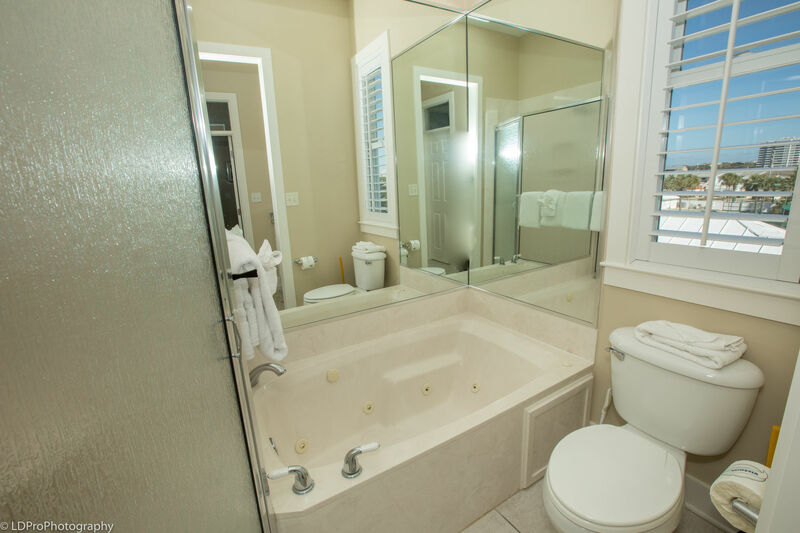 This Guest Bedroom’s private Bathroom has a granite encased vanity and a bathtub/shower combination. 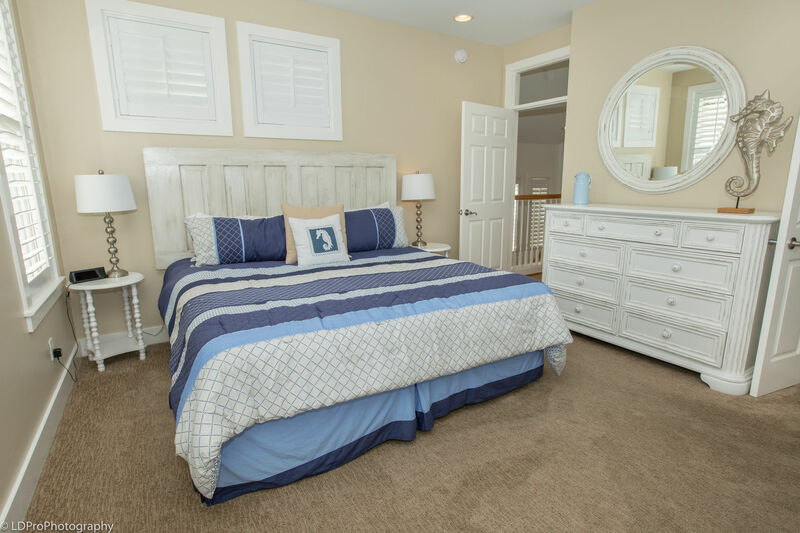 If you go down the hall to the opposite end of the home, you will come to the Master Bedroom Suite. 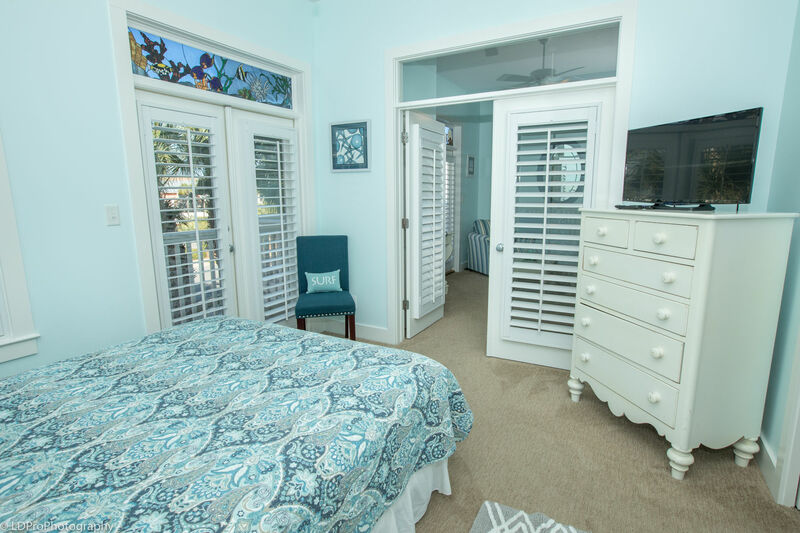 The Master Bedroom has a King Bed, raised ceilings, a stained glass window, a big screen HDTV, and a set of doors leading to the Master Bedroom’s private balcony. 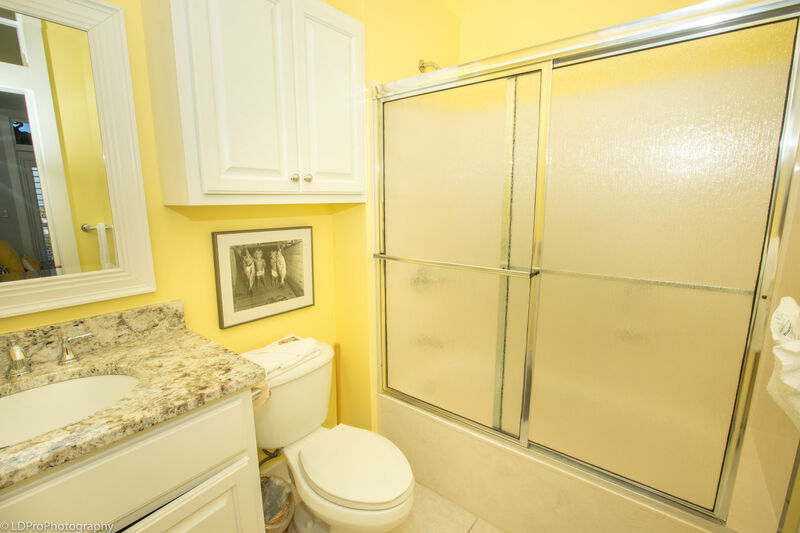 The Master Bathroom has a large walk in closet, dual vanities encased in granite, a Jacuzzi tub, and a walk in shower. 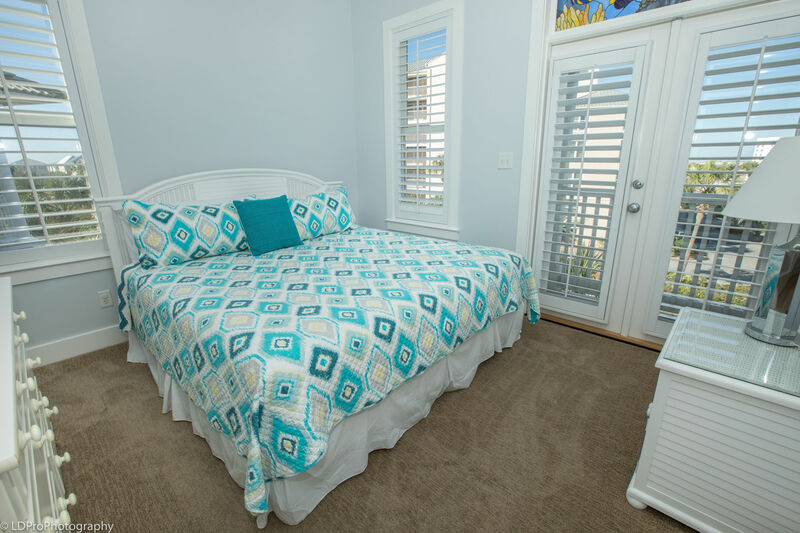 The Master Bedroom’s balcony has two reclining chairs, an ottoman, and a small table. 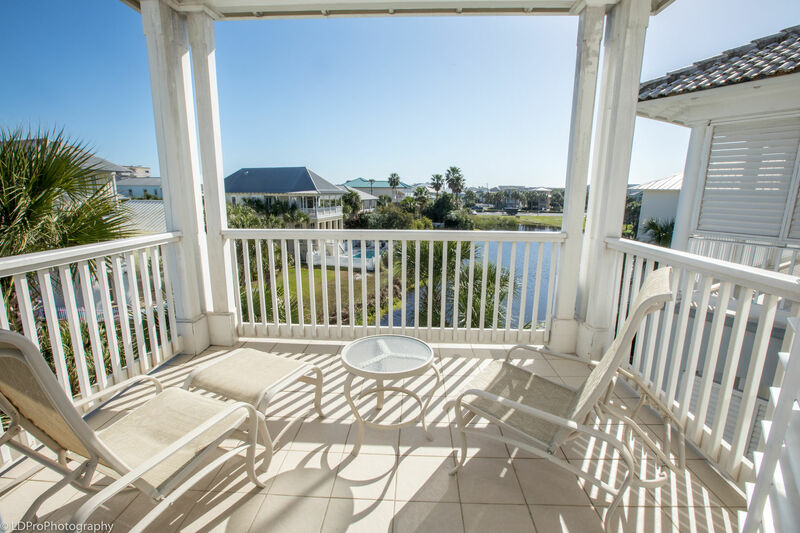 This balcony offers a view of the grounds of Destin Pointe, one of Destin Pointe’s lakes, and Seascape’s private pool. 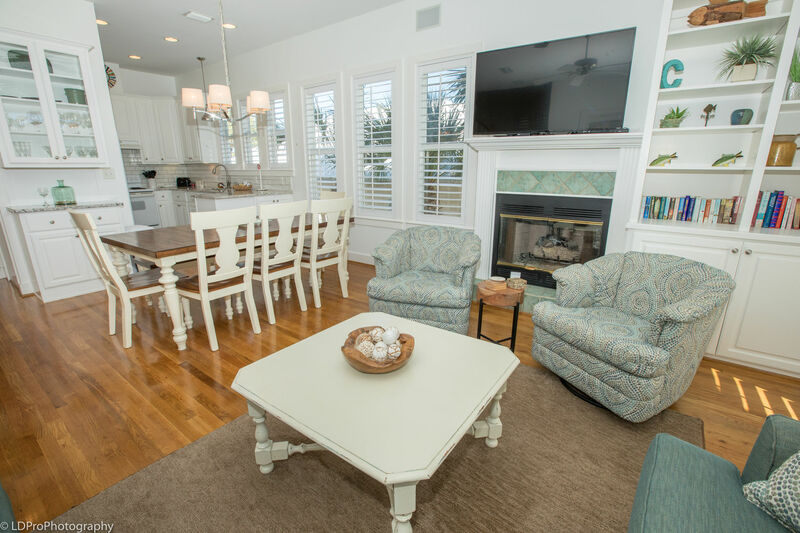 This home is a ten minute walk to the beach and a six minute walk to the jetties. 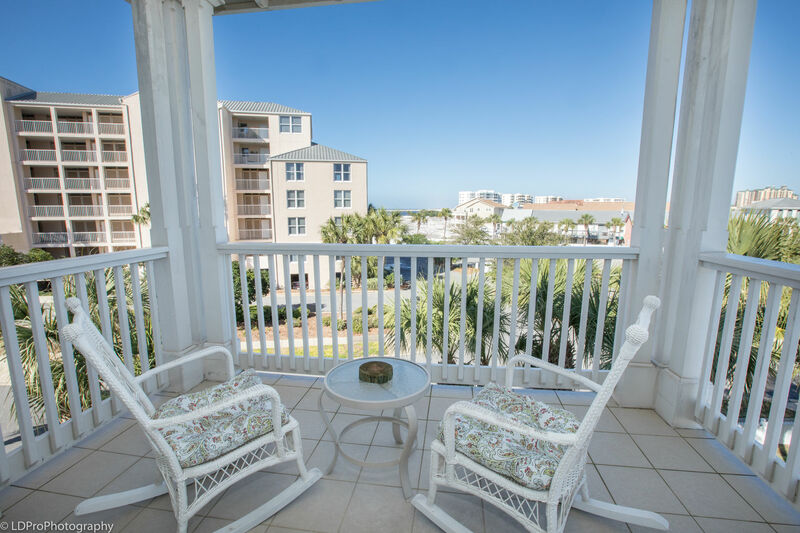 Amenities include complimentary Wi-Fi internet access, a full size washer and dryer, gated security, and a private pool. Covering every want and need with ease, Seascape is the perfect vacation Destination for your family. 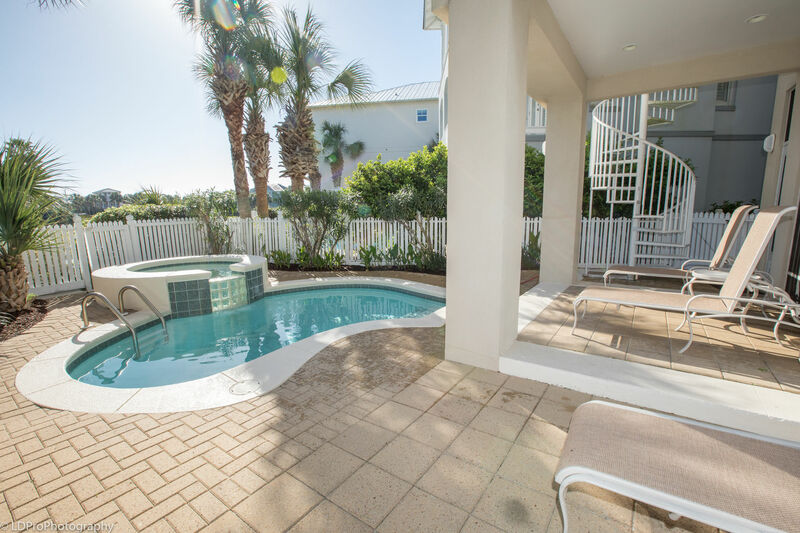 Private Pool - Heated Complex pools located near Magnolia House & near the Gulf side of Destin Pointe. The property was beautiful and well maintained. Perfect for long walks. The pool was pretty small and cold. Nice place for family. We spent a week at Seascape and enjoyed every minute!! 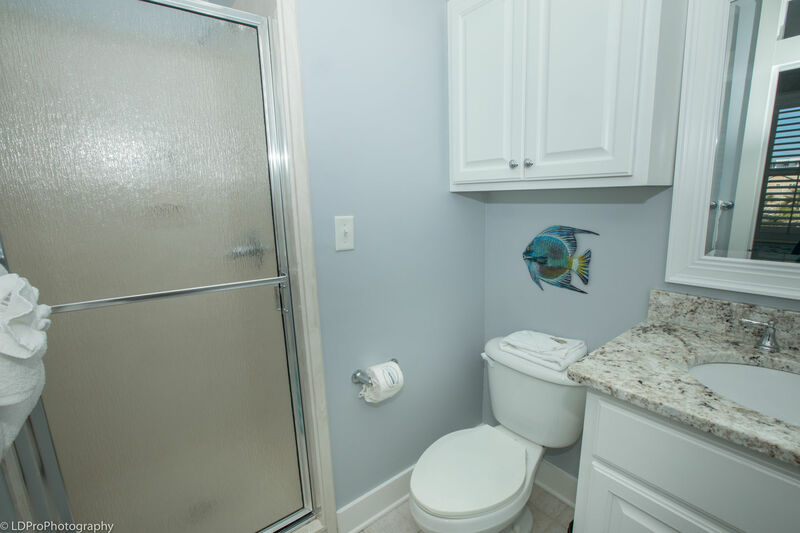 Very clean, pictures are accurate, easy check in/out, and just a short walk to the beach!! We will be staying again this coming summer!! Definitely recommend!!! We really enjoyed our spring break in Destin. 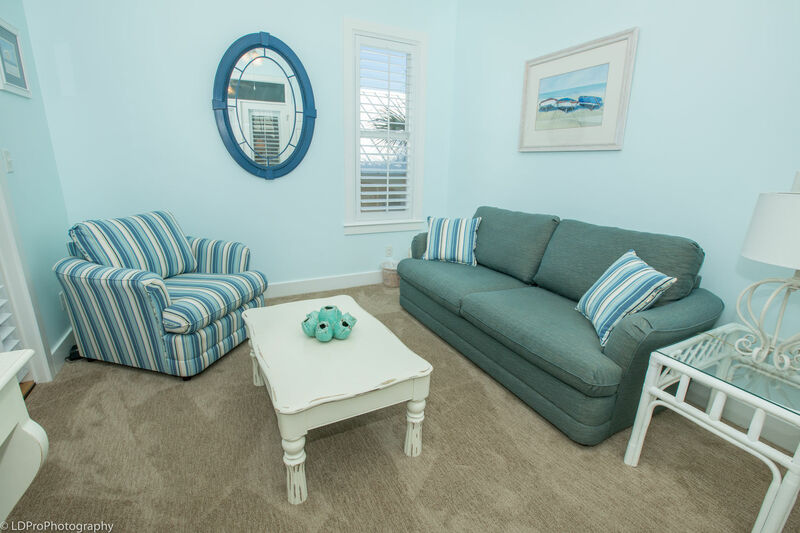 Seascape was a comfortable home with a heated pool and hot tub with a short walk to the bay. The pictures on the website are accurate. There are big stair cases, but it is a large home with lots of room. The home was very well equipped. Lots of utensils, pots and pans. We really enjoyed the home and look forward to booking it again.